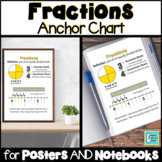 Anchor Chart - Converting Improper Fractions into Mixed Numbers Great to use when teaching improper fractions. Can easily be put into a interactive notebook. 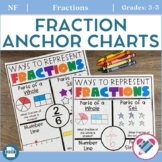 Anchor Charts for simplifying, changing from a mixed to improper, improper to mixed, common denominators, what is a fraction, what is a mixed number, and equivalent fractions. 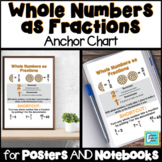 Three anchor charts that cover multiplying a fraction by a whole number, a fraction by a fraction, and mixed numbers. 8.5" x 11" pdf that can be printed in poster size. Make the mixed number MAD and help students remember the rules for converting a mixed number to an improper fraction. 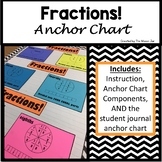 This anchor chart is great to print out on poster paper and use as your classroom! 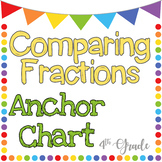 You can even print out copies for students to place into their notebooks or binders.This anchor chart gives 5 strategies for comparing fractions. 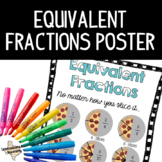 Hang this anchor chart in your classroom and help remind your students how equivalent fractions works using pizza. Get it printed at any photo center as a poster 20x24. 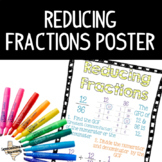 Hang this anchor chart in your classroom and help remind your students how to reduce fractions. Get it printed at any photo center as a poster 20x24. Don't forget to look at my other anchor charts. 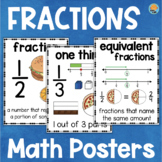 This poster will be perfect for any classroom wanting to add some color to math! 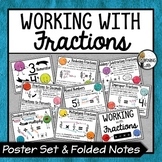 Use for your fractions bulletin board or as an anchor chart. Enjoy!